View the agenda for the Blue Study Tour of New York. The second day of the study tour will feature insights from native digital publishers and technology pioneers. Additional companies will be identified as their participation is confirmed. Piano.io provides the software platform that runs audience-revenue programs for a growing number of publishers. The presentation at the company's headquarters at the iconic World Trade Center will provide an overview of strategies, trends and best practices for building audience revenues. Google is the most diversified and most powerful digital media company. It conducts 77% of the world’s searches, supplies the operating systems for 88% of the world’s mobile devices, serves 41% of global digital advertising and provides video to 33% of the global Internet users via YouTube. With more than 2 billion monthly active users, Facebook is the world’s largest social media network. Beyond the flagship brand, the company owns WhatsApp, Messenger, Instagram and Oculus. In addition to discussing best practices for creating content and building audiences on their myriad platforms, Facebook executives will explain initiatives they have undertaken to support publishers producing quality journalism. As the analytics partner for more than 50,000 media sites around the globe, Chartbeat tracks what people are reading on a second-by-second, pixel-by-pixel basis on each site, page and article. Executives of the company will share best practices for building and retaining audience. 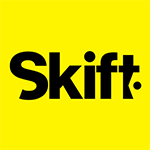 Launched in 2012, Skift has grown into the biggest B2B brand covering the global travel industry. The company was built on lessons learned by founder Rafat Ali, who is one of the visionary pioneers of digital publishing. In addition to describing Skift's multi-threaded revenue model, Ali will offer his thoughts on the future of digital publishing. 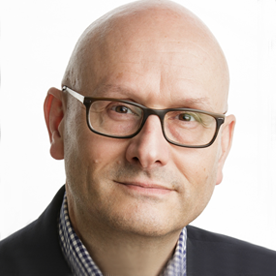 A former top executive at Fairfax Media, Robert is long-time INMA director and self-styled “Disruptionist.” After serving as Editor of the Sydney (Australia) Morning Herald, he moved into sales and marketing for Fairfax Media before embarking on various consulting and start-up ventures. He lives in Sydney.